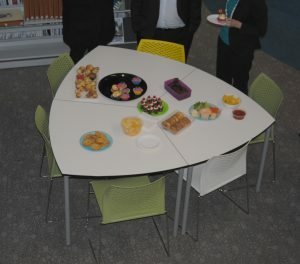 One of the busiest times in the Secondary Library is lunchtime. 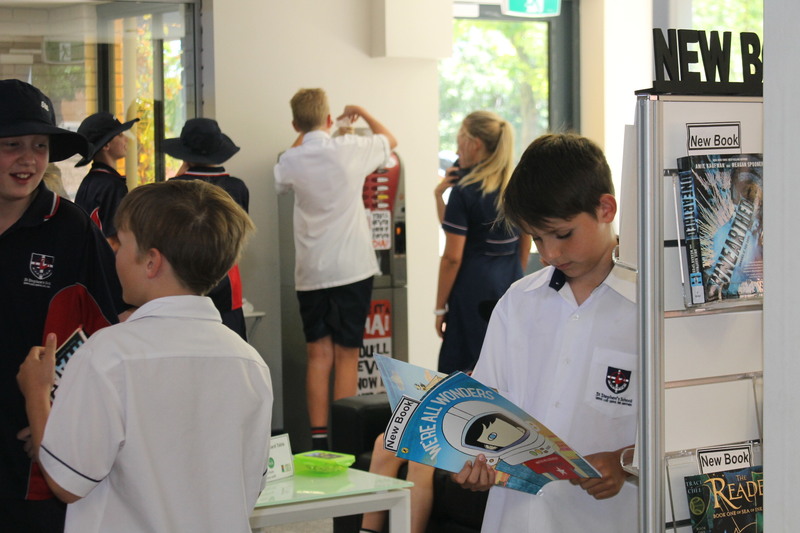 Once-upon-a-time, during lunch, the library was often only used by students wanting to explore literature and by others looking for a quiet space away from the playground, but what’s lovely is that today’s library is now being inundated by students for new reasons. There is a special ‘cafe’ area where students can sit and relax, enjoy their lunch, and perhaps purchase a caffeine and sugar free drink from the vending machine. 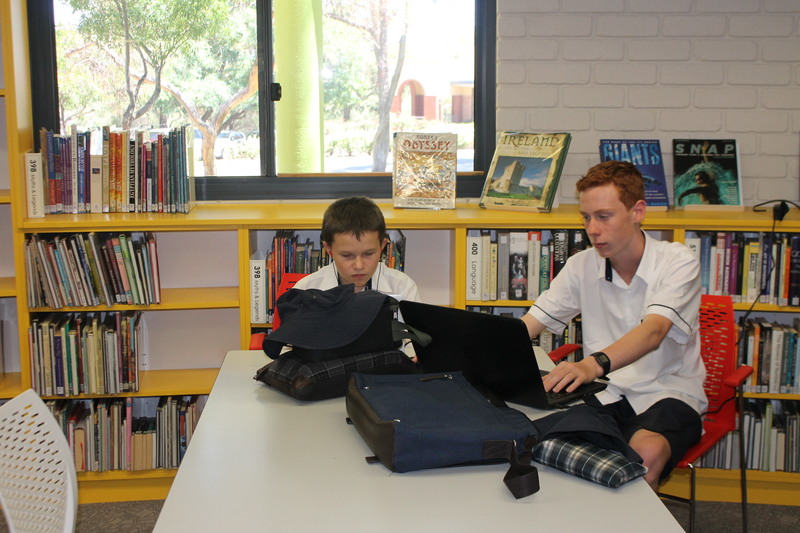 Students are working closely together and are forming meaningful social bonds in these spaces. 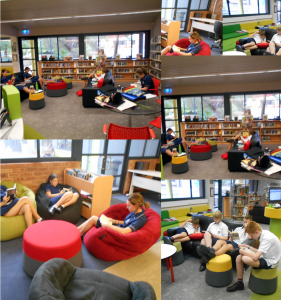 Duncraig Secondary library has a new reading room. We are pleased to have created an extra space in our library to accommodate students who want to read in a quiet area, in comfortable seating. 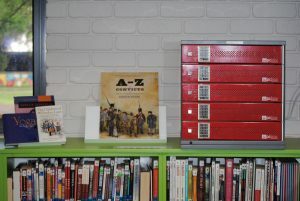 The students love it! Please visit the Collinson library online to find information on troubleshooting technology issues, email connection, downloading educational apps, accessing the portal and SEQTA. 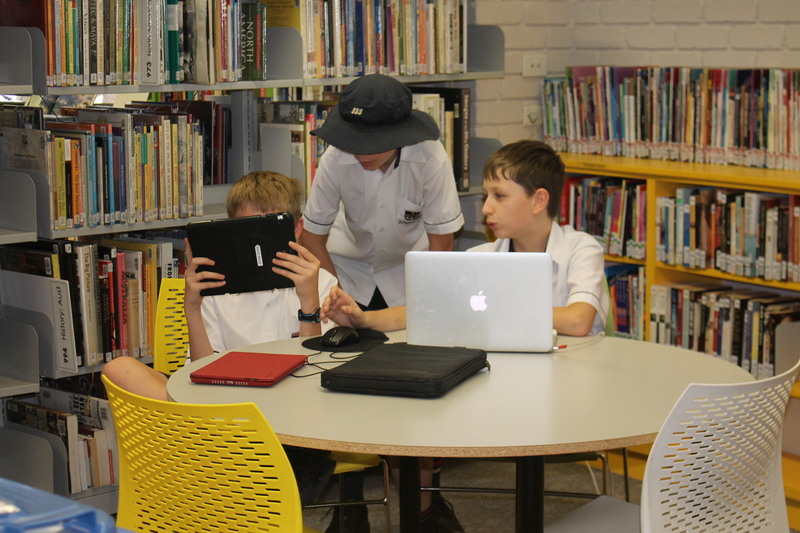 This is a helpful reminder of the information was covered in the year 7 Technology Orientation at the beginning of the year. 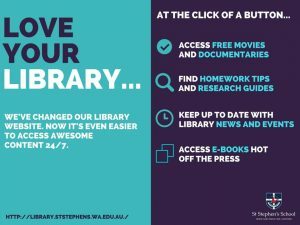 Access the tabs at the top of the page for information. 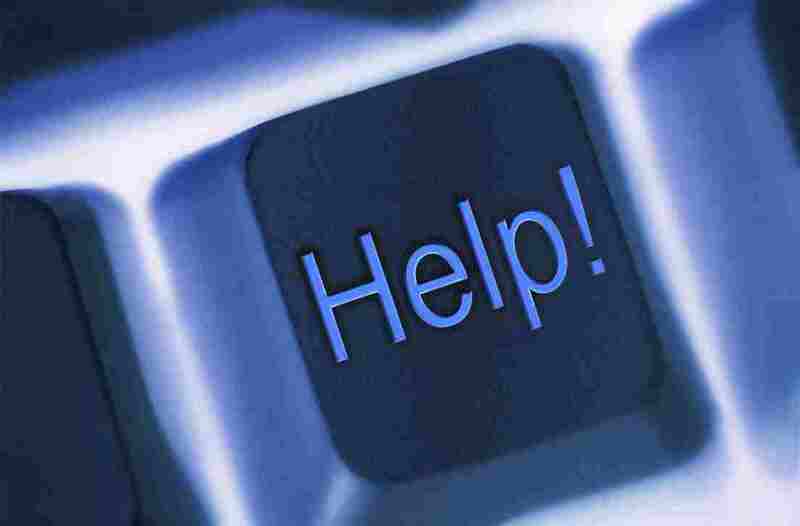 The troubleshooting information is under the ‘Email and Printing’ tab. 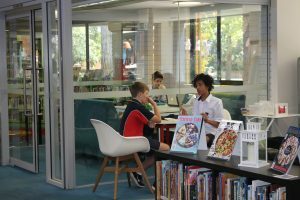 The Collinson Secondary Library are looking for parent/grandparent/aunty & uncle volunteers who would like to assist staff in the library. If you think you would like to volunteer for perhaps 1 hour a week, fortnight or just every now and then please call either Jenni Seddon or Sue Durrant in the Secondary Library on 9243 2448. 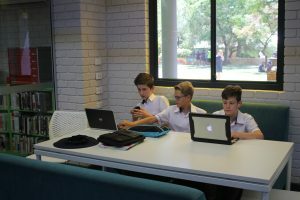 With the increased reliance on devices, it is more important than ever for us to offer charging amenities for our students. 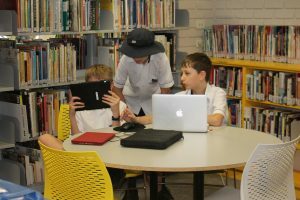 Devices like laptops, iPads and phones have become important educational tools that facilitate a productive learning environment. 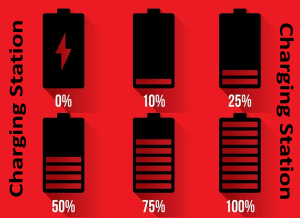 As the popularity of such devices continues to grow, keeping a device charged can be an issue. 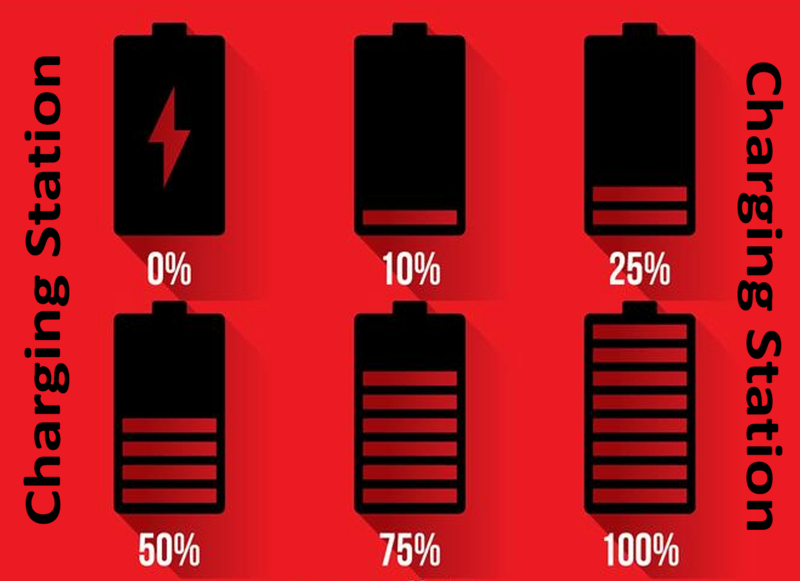 A dead battery limits student productivity. 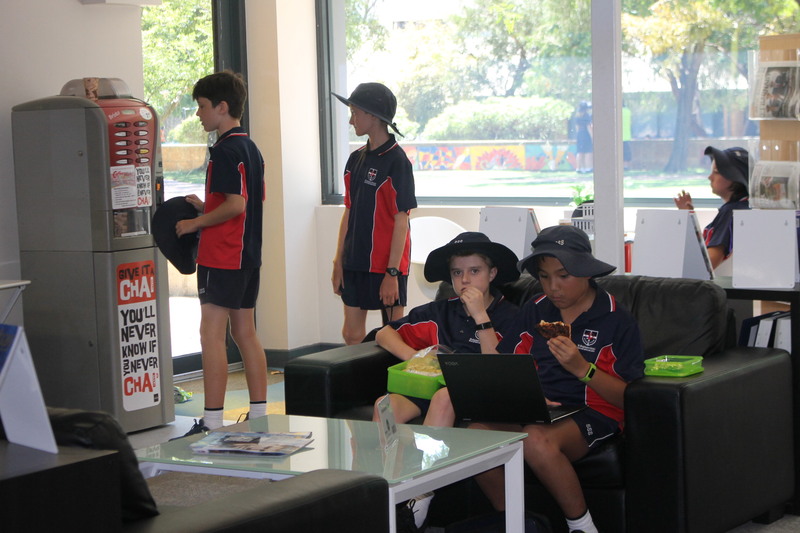 The Secondary Library has installed a Charging Station with a multitude of different chargers. Charging stations are fixed units that feature separate locking compartments where a student can leave their device to charge safely. Writing on surfaces is one of those effective learning practices that is spreading with a viral rapidity. Schools do it because it works, and it works well. 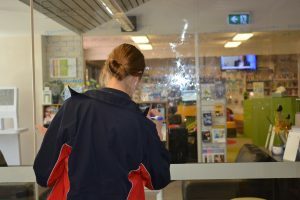 Student’s love to write on desks, walls, doors, windows, etc. – not because it is naughty, but for the collaborative nature, the exchanges between writers, the rich colour, the personalisation, and more. 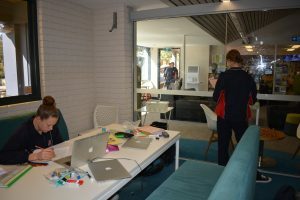 Working in full view immediately has a basis for conversation and discussion, offers an awareness of each other’s work, and has impact. There is a strong cognitive reason. 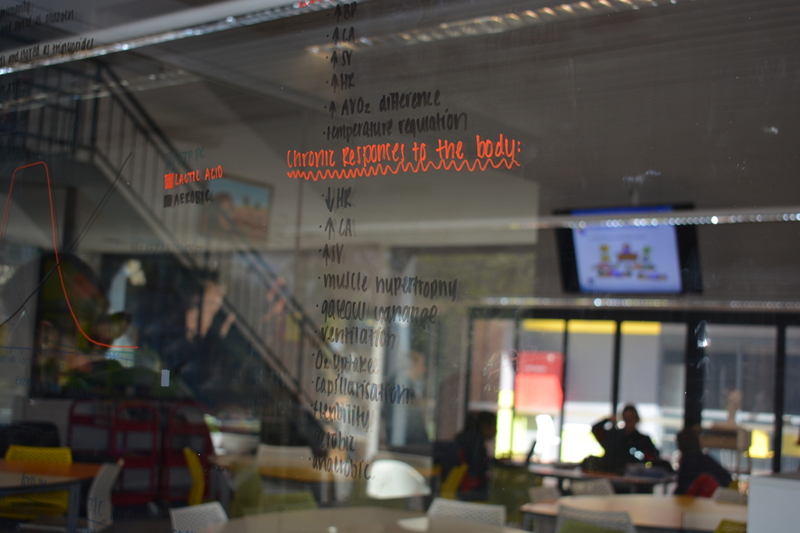 We’ve known for a long time that memory is aided by the cues and clues of social context. 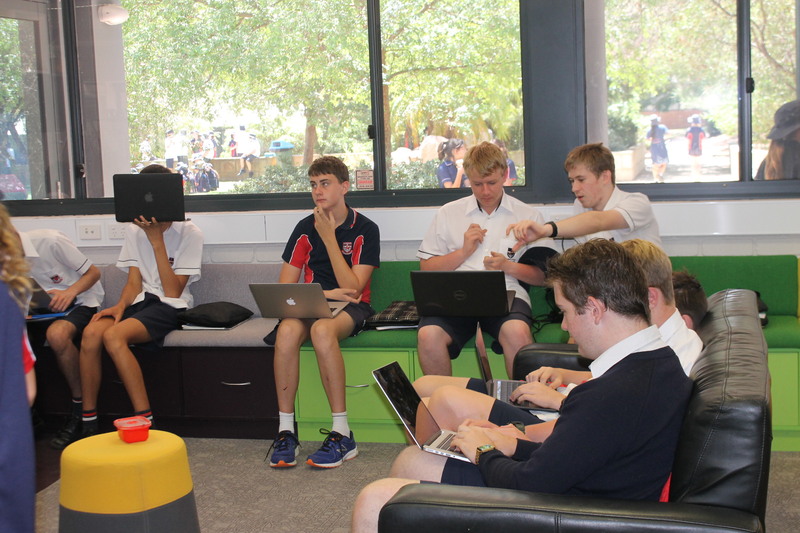 Pictured below are Year 11 student’s doing revision for their exams. Students in Year 7, 8, 9, and 11 will be receiving their subject confirmation for the five term 2018 academic year in Homeroom this week. Students in Year 10 have already received this information. 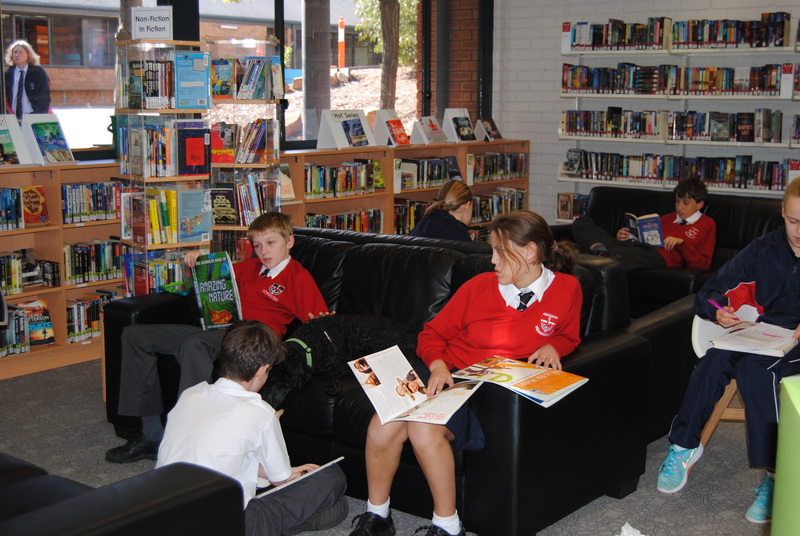 Information on Booklist requirements will be emailed to families on Friday 1 September. 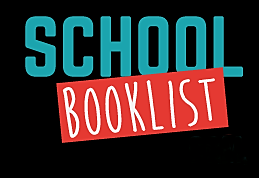 Please contact Mrs Stout in the Library if you have any questions about the Booklist. 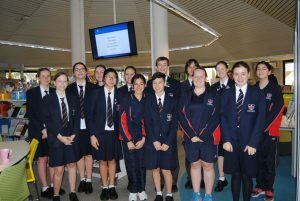 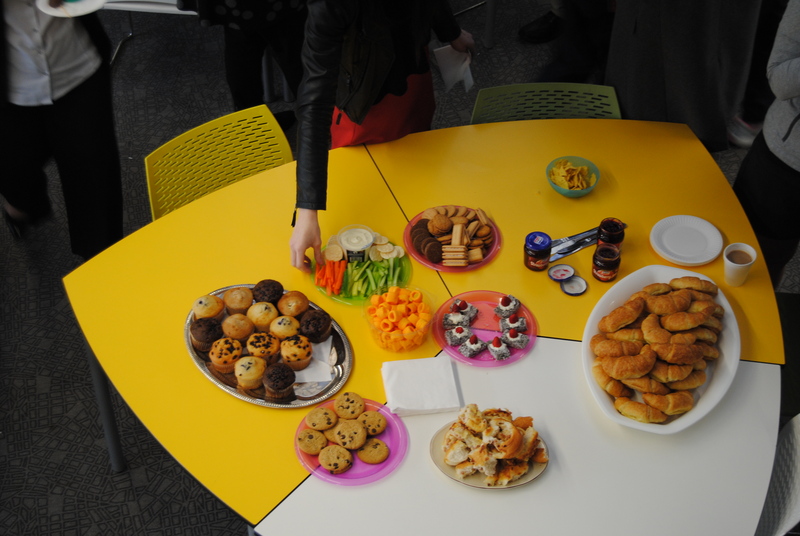 Book Week 2017 was celebrated today in the Secondary Library with a glorious morning tea. 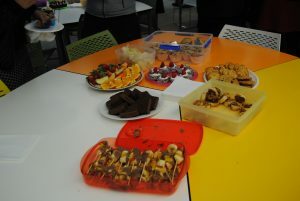 Student’s from Mrs Cunninghame’s Book Club bought in an array of mouth-watering food. All gold coin donations are going to the Wanslea Charity. 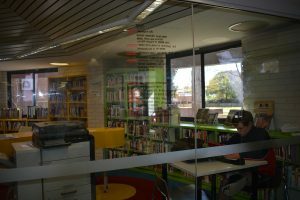 Reading sessions take place in a quiet area of the library or outside depending on the weather. The idea is to create a relaxed, fun space for children. 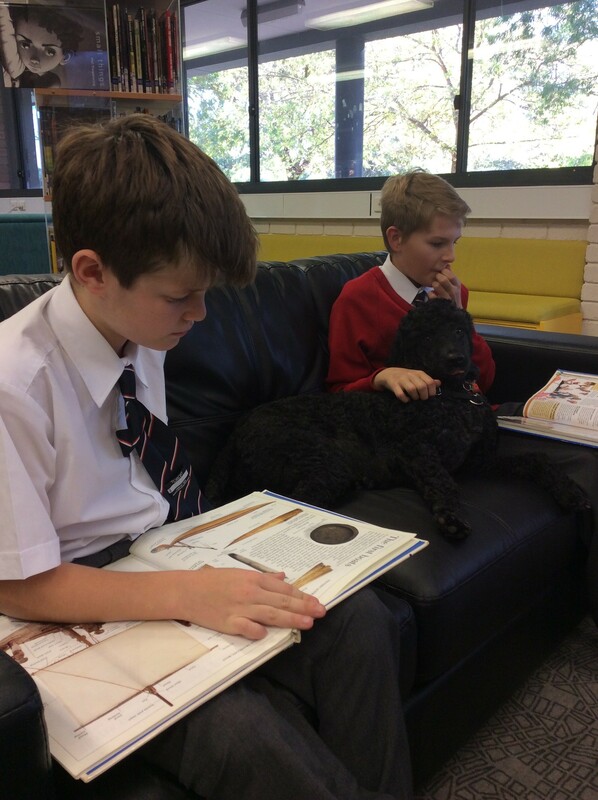 When children read with a dog, the outcomes are amazing! 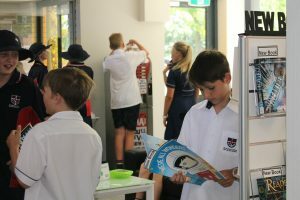 It’s non-judgmental, children’s focus improves, literacy skills increase and confidence soars. The loving nature of dogs gives this program its magic and helps children relax, open, try harder and have fun reading.